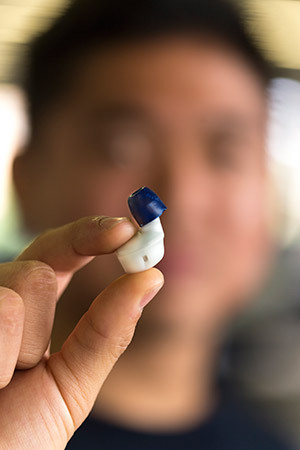 Lee, a mechanical engineering major, dreamed up the idea for the earplugs—which also double as a sound machine that plays white noise and ocean wave sounds—during Delson’s class. The class also provided him the tools to take his professional destiny in his own hands and start his own company, first at the Moxie Center for Student Entrepreneurship at UC San Diego and then at San Diego’s EvoNexus incubator. The devices will be manufactured here in San Diego. During Delson’s class, the students focused on identifying a user need and validated it through direct interactions with potential customers. They also were required to consider whether the technology for the product was feasible and to evaluate its financial viability. The team’s final presentation included a video demonstrating how the product would be used—an outstanding pitch. They received $2000 from Venture Well and the Moxie Foundation, which supported the class. The three Daniels also joined the Moxie Center for Student Entrepreneurship, where they received access to workspace, tools, equipment and supplies, including 3D printing, several machine shops and electronics fabrication. Through the center, they also received mentoring from business professionals, legal assistance on incorporation and patents, and introductions to investors and the EvoNexus incubator. Finding a battery that would last 10 hours—hopefully enough sleep for the average undergraduate student—was also a challenge. To prolong battery life, the team decided to use Bluetooth Low Energy and only play back locally stored audio files on the device itself. 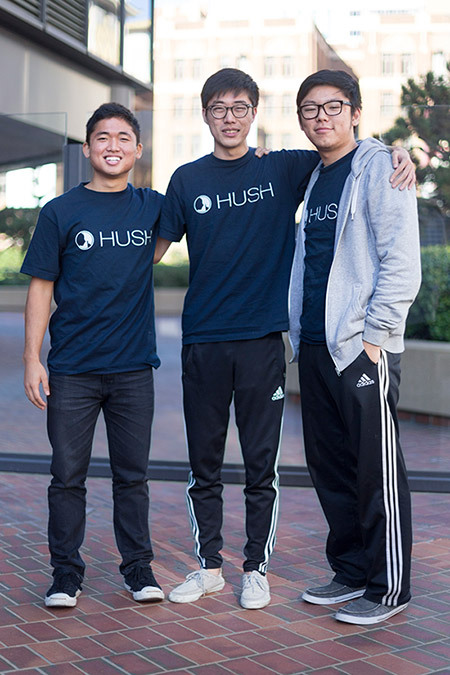 Chesong and Synn developed the Hush app with multiple functionalities. 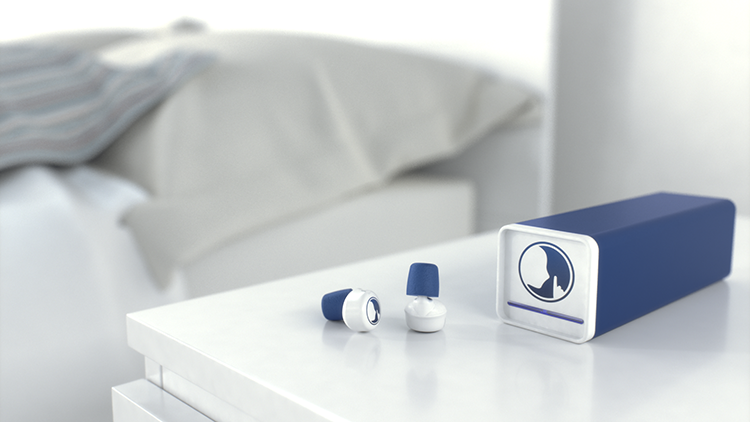 It configures a personal alarm clock that users hear via a speaker inside the earplugs. It plays an array of soothing sounds, such as ocean waves and a waterfall, and binaural beats, sounds that help generate relaxation. The app also includes a notification center, which ensures that urgent phone calls from certain pre-selected numbers will come through—even when you’re asleep. The app also features a tracker that will make the earplugs sound so their users can find them. The three Daniels already have a number of additional products and features planned out. One of them is already in the research and development phase. They are also looking into retail channels for their smart earplugs.